Trying to become highly motivated for your job is probably one of the toughest challenges facing a newbie pursuing career success. Especially when you are tasked with some of the most mundane work in the workplace. So, what do you do when you feel like you have lost interest? In my years of experience, I too have faced this very challenge of becoming highly motivated for my job. Especially when everything else seems to be pointing in the opposite direction. It could be a bad week or month, a ton of menial tasks waiting to be completed and unreasonable clients. There is a way of becoming highly motivated for your job. Or should I say 5 steps you can take in order to become highly motivated for your job. I call it ‘CARES’. CARES stands for Conviction, Attitude, Respect, Empathy and Sincerity. One who CARES enough becomes highly motivated for one’s job. Ever noticed newbies or even veterans in the workplace who has a lackadaisical attitude? They just couldn’t care less? And that very attitude affects their work quality? Imagine if you were to just care enough to get everything done to the best of your ability? Picture what competitive advantage you bring to your boss if you care enough to get it right the first time compared to the others? Conviction is a firm belief of what you want to do. A firm belief gives you the courage to move towards your goals. Ask yourself what are your career goals? How does these career goals match with your company’s goals? Believe in the company’s goals if you are to become highly motivated for your job. Align these goals to your career goals and you begin to see more meaning in what you do. Attitude is a your way of thinking and behaving towards your life. In whatever tasks assigned to you, approach it with a positive attitude. A positive attitude means doing each job with pride, passion and belief. Give the job assigned to you; your best shot no matter how menial. When you approach work with a positive attitude you begin to become highly motivated for your job. 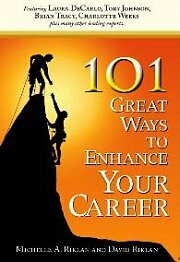 It will contribute towards your career success goals. Respecting yourself. If you want others to respect you, you must start respecting yourself. Understand your own roles in the organization. Each person’s roles contribute to the greater objective of the company. If you look down upon your own job, then you wouldn’t appreciate what you are doing. People will start to lose respect for you when you do not even respect yourself. Respect others in your organization. Each and everyone in the organization deserve your respect. From the tea lady to the janitor, they each have their role to play and each contributes to the bigger objectives organization. Learn to see the good qualities in others that deserve your respect. Empathy is the ability to imagine and share another person’s feelings and experience. In our work, we are bound to meet with colleagues who are uncooperative or clients who are unreasonable. In such cases, you would feel demotivated. To overcome this, learn to empathize with that person. Understand why such requests are being made. Sincerity is saying and doing only things that one really means or believes. When we do the work that has been given to us, do it sincerely and joyfully. When someone has helped us in the course of our work or have made a certain task more manageable thank them sincerely. That way you begin to see that the job isn’t that insurmountable. You begin to become highly motivated for your job. In a nutshell, one who CARES enough becomes highly motivated for one’s job. For more articles related to "How Do You Become Highly Motivated in Your Job? ", click here.